Fortinet has announced that the Maharashtra Information Technology Corporation (MITC) has selected Fortinet to provide wireless Internet access to the citizens of Mumbai, India. Fortinet’s access points provide Wifi Internet access for the public in Mumbai and are deployed in more than 500 locations across the city for the MumbaiWiFi project. The WiFi network is also planned to be used for smart transportation in the near future. Fortinet is uniquely able to support the technical implementation of this project with a wireless R&D center in Bangalore. In its first phase of the MumbaiWiFi project, the Maharashtra Government has deployed a combination of Fortinet indoor and outdoor access points with omnidirectional antennas, wireless controllers, and a wireless manager to provide simplified deployment and scaling, voice mobility, and the high performance needs required. 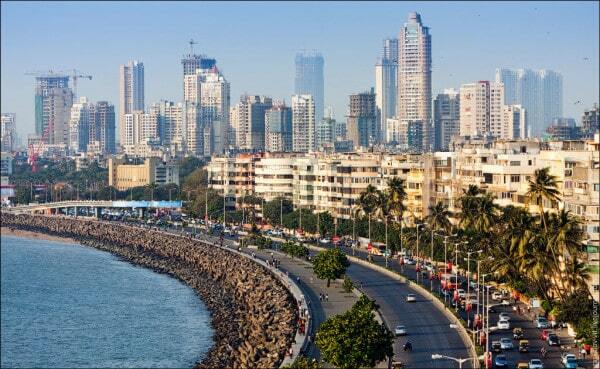 Mumbai is home to 20.5 million people and is the commercial capital and the largest city in India. The Government of Maharashtra launched the MumbaiWiFi project to cover all major areas in the city with public WiFi hotspots to ensure that government services are available online to its citizens. Later this year, the WiFi network will also be used for smart parking and smart transportation, by providing real-time updates on the routes and available capacity of various modes of public transport in the city. The introduction of Wifi hotspots in Mumbai expands on the government’s vision of making Maharashtra the country’s first digital state. Securing public communications over Wifi such as personal information, financial transactions, and mobile device data sharing involves much more than simply managing network access control. As organizations change the way they deploy access networks, connect devices, and the number and types of network-connected wireless devices and mobile applications grows exponentially, IT leaders must deal with the difficult task of balancing the requirements of network security with the flexibility to onboard a growing number and diversity of clients. ­Users want fast WiFi and a smooth experience across wired or wireless networks and IT leaders need reduced complexity of network management, application management, and device management. Typical WiFi solutions cannot satisfactorily address these requirements. Fortinet’s Secure Access solution delivers three WLAN deployment options to meet the different WLAN requirements of today’s enterprises. In addition to WLAN services, our complete secure access portfolio also provides the most flexible security with end-to-end enforcement enabled by the Fortinet Security Fabric. Mumbai Chooses Fortinet to Provide Wireless Internet Access 0 out of 5 based on 0 ratings. 0 user reviews.